We’re at FOSDEM 2019 this week having fun. 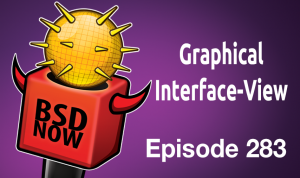 We’d never leave you in a lurch, so we have recorded an interview with Niclas Zeising of the FreeBSD graphics team for you. Enjoy.